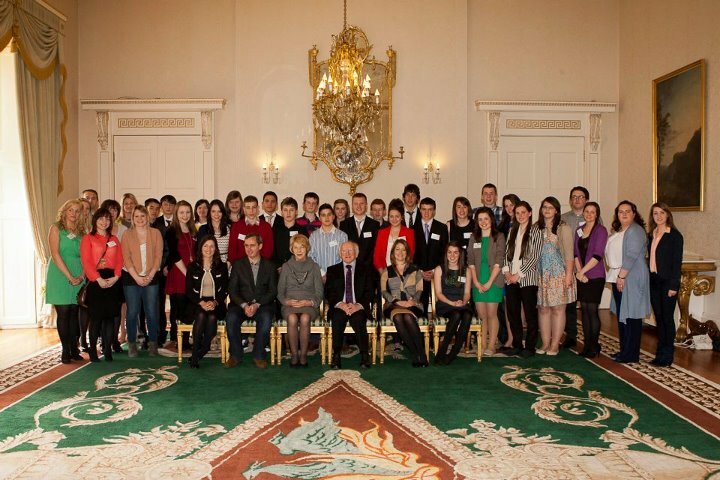 The Enterprise Module of Transition Year got a boost recently with their great success both regionally and nationally. The following report gives us an insight! Ireland's future entrepreneurs are gearing up to compete for the title of the Young Entrepreneur 2012 following months of intense preparation. The efforts of the participants from Our Lady's College Greenhills have been extremely fruitful with two groups making it to the final. 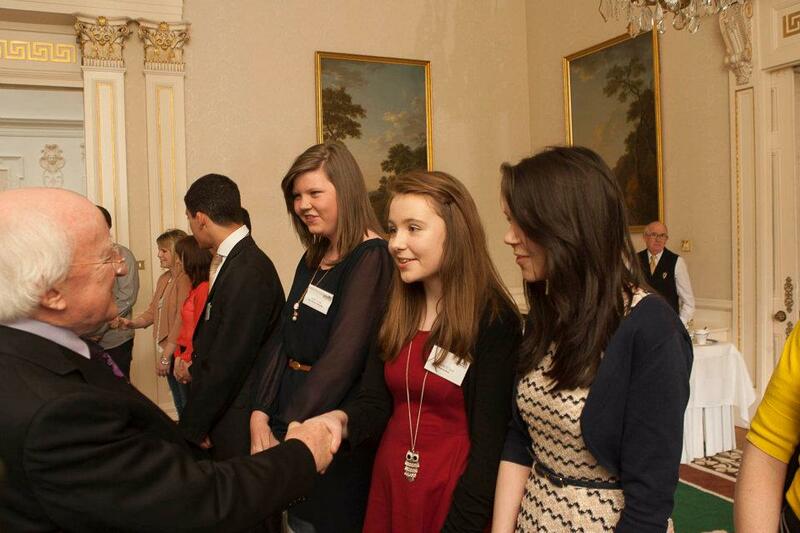 Roisin O'Gara, Laura Bartley and Aoibh Collier had the opportunity to visit Áras an Uachtaráin on the finalist trip. Roisin and Laura were asked to pitch their idea to the President, Michael D. Higgins and his reaction as very encouraging. Aoibh also received very positive feedback from Dragon's Den Norah Casey. We wish the girls the very best of luck in the final. Miss R.Savage and Mr. Greene helped to develop a strong team of businesswomen who presented their ideas to a 'Dragon Den' type group of business people. 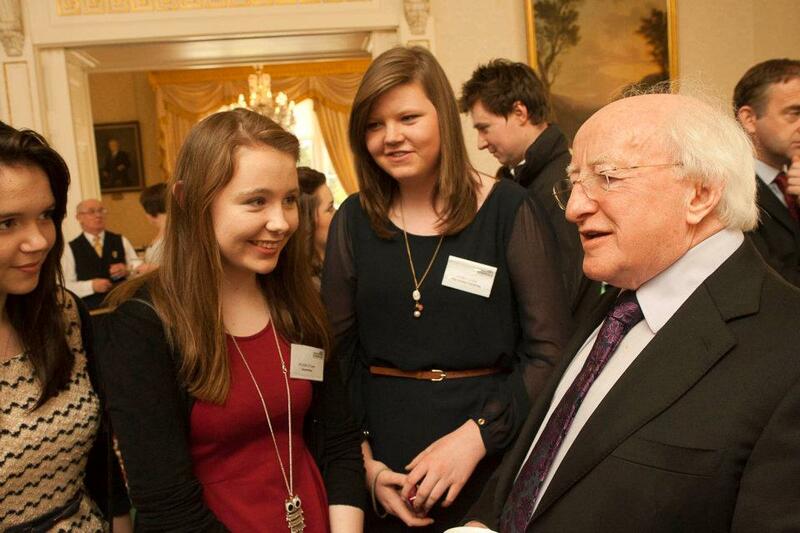 Laura Bartley, Aoibh Collier and Roisin O'Gara did particularly well when they meet President Higgins! !